Engraver and art dealer. part of a Dutch family of artists, active in Flanders. The family came from Zaltbommel, Gelderland. Lucas began to practise as an engraver when he was only 12 years old. He joined Rubens s studio c. 1617-18 and in 1620 became a master. 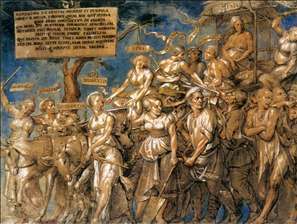 Rubens clearly took on the sensitive young Vorsterman with a view to training him to reproduce his paintings, having realized the potential profits to be made from reproductive engravings of his work. 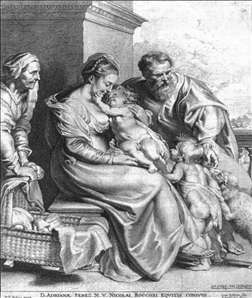 Vorsterman s talent doubtless encouraged Rubens to intensify and guarantee his production of engravings by attaining exclusive licences in France, the northern Netherlands and the southern Spanish Netherlands. 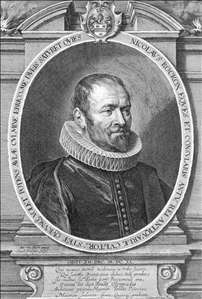 It is possible that the young Anthony van Dyck provided drawings after Rubens s paintings for the engravings by Vorsterman, although some have been attributed to Vorsterman himself or to the studio of Rubens. Under Rubens guidance, Vorsterman developed his burin technique in the period 1618-20, using a complex method of building up numerous layers of lines of varying thicknesses in order to do full justice to the colouring in Rubens s paintings. Vorsterman was able to reproduce the expressiveness and nobility of Rubens s figures in a way that virtually no other engraver equalled. His best engravings from this early period include ten large works from 1620 (e.g. Adoration of the Shepherds, and the Deposition) and a further five dated 1621 (e.g. Adoration of the Magi, and the Tribute Money). His son Lucas Vorsterman II was also an engraver but lacked his father s talent. See more details about "Holy Family with St John and St Elizabeth"
See more details about "Triumph of Poverty"